Compulsory voting: Step towards democracy or dictatorship? : Why not ‘Right-To-Reject’? It refers to Gujarat High Court rightly staying compulsory-voting for local bodies in Gujarat. Idea is totally unconstitutional and undemocratic in name of making democracy more people-participatory! Voting is a right and not a duty, and as such forcing to vote could create fear-fever amongst many, and thus also violate their normal human rights. Even National Human Rights Commission (NHRC) should also take cognizance of initiative of Gujarat government. Most people who do not go to vote do so because they do not find any candidate fit for being voted. ‘None-To-The-Above’ (NOTA) is simply of theoretical value with no practical result on election-results. Even if NOTA gets maximum votes, then also candidate next to NOTA is declared elected. At times, voters are forced to select best out of the worst candidates in absence of ‘Right-To-Reject’ (RTR). If Gujarat government is really sincere towards better voting-percentage, then it should experiment ‘Right-To-Reject’ (RTR) where re-election may be held in case NOTA gets maximum votes with all candidates getting votes less than NOTA being disqualified for life to contest any election in future even in constituencies where NOTA might not have got maximum votes. 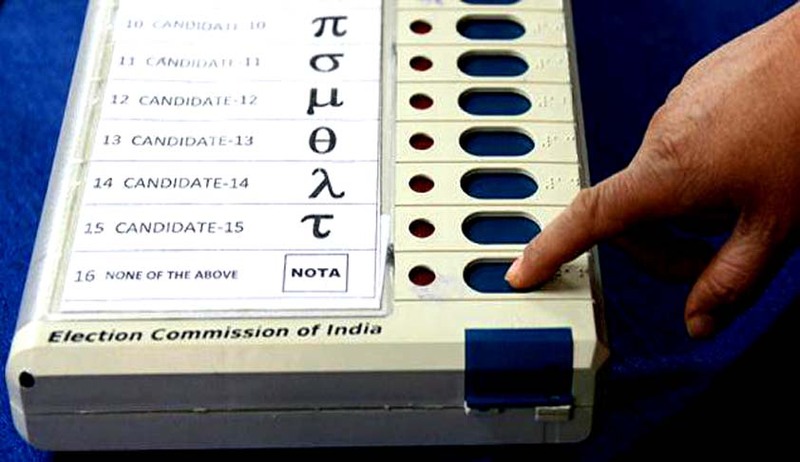 However to avoid chain of re-elections because of NOTA getting maximum votes every time, NOTA-button may be disabled in case of re-election caused because of NOTA getting maximum votes. ‘Right-To-Reject’ (RTR) will make political parties put good persons as their candidates. If idea is successful, then it can be implemented in all elections till stage of Lok Sabha. Subhash Chandra Agarwal is a Guiness record holder and RTI Activist.